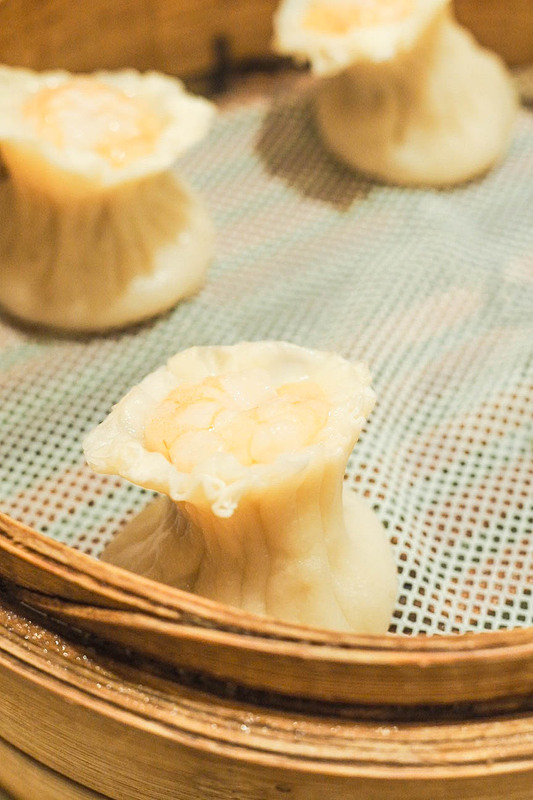 Dim sum was my first foray into Chinese food, way back when I was still a fussy eater (can you believe I was ever anything but a never-ending stomach?!). 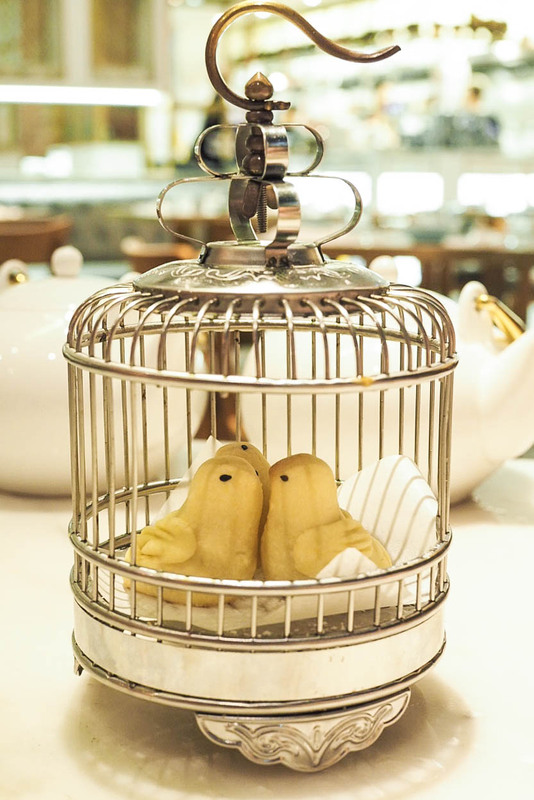 It’s bite-sized food filled with all sorts of delicious things; it’s canapés that have been souped up and they are generally more plentiful than the food you’d be served up on a silver platter, too. 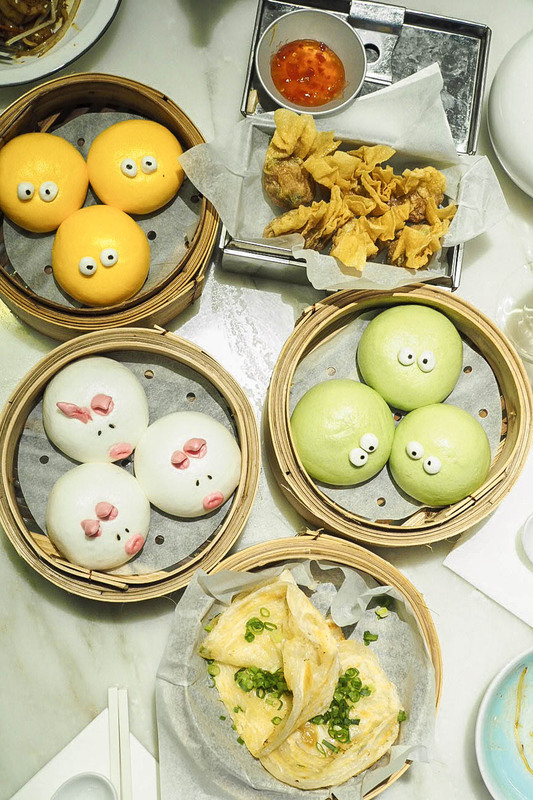 Brunch is a big thing in Hong Kong, but in the Gossip Girl sense of the word. 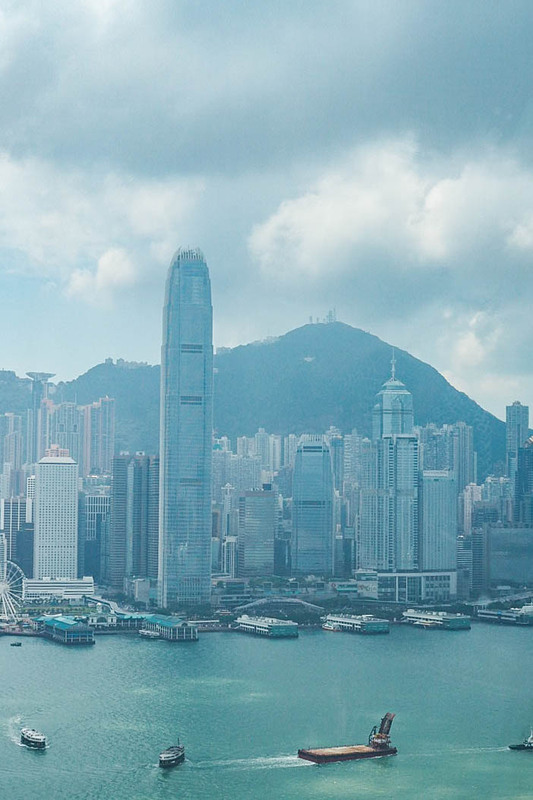 It’s a grand affair with buffets, bottomless champagne and grand views in beautiful settings. 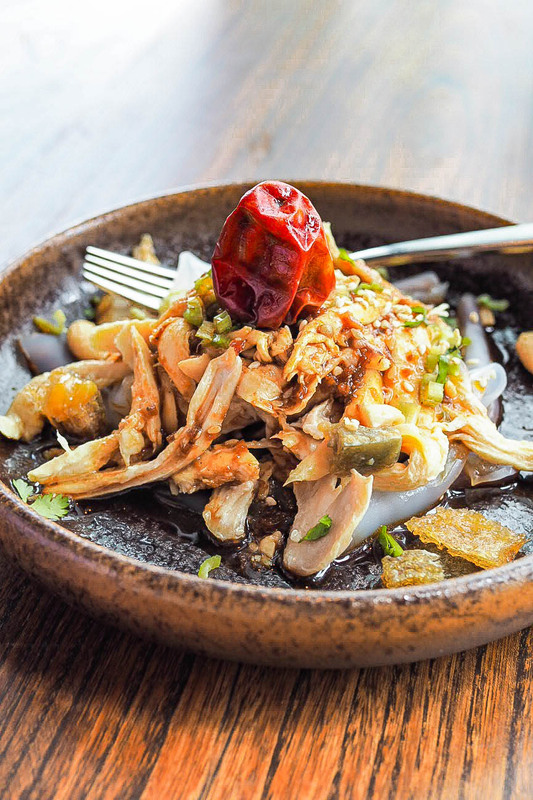 The best one I’ve tried so far is at Hutong, the sister restaurant of the venue of the same name in The Shard, which brings an Eastern twist to a Western concept. 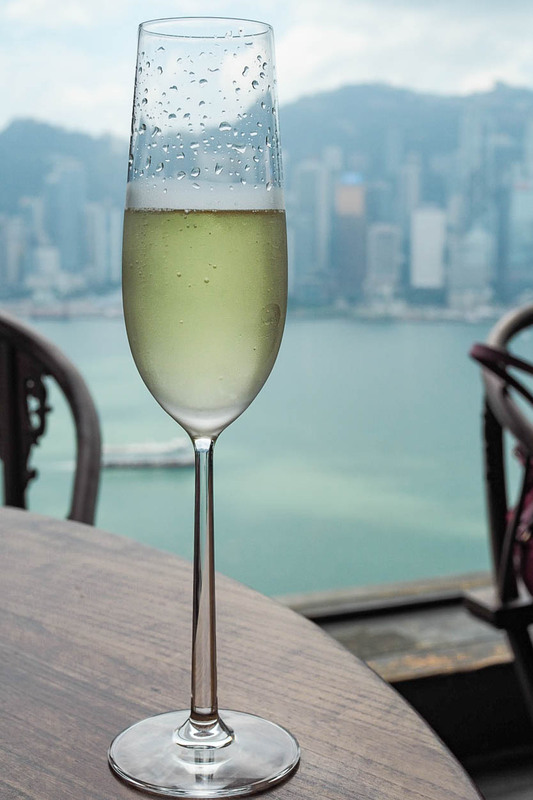 We had an indulgent 18 dishes with bottomless Veuve Clicquot, looking over the water from Kowloon-side and out at the Hong Kong skyline. 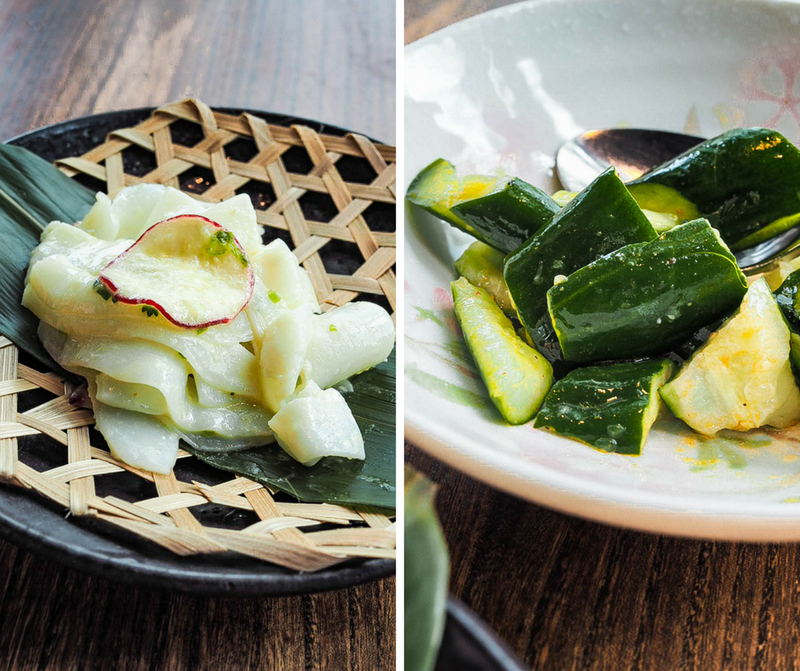 The appetisers were fresh and spicy, predominantly cold, and with classic Northern Chinese flavours including chicken with glass noodles in a Sichuan sauce, sliced squid with wasabi, and (my favourite) a cucumber salad in garlic-pepper sauce. The best dim sum on my plate was easily the poached lobster wonton and the steamed Matsutake mushroom bao. I adore a wonton, and with a chilli sauce and Chinese vinegar, I’m in heaven. 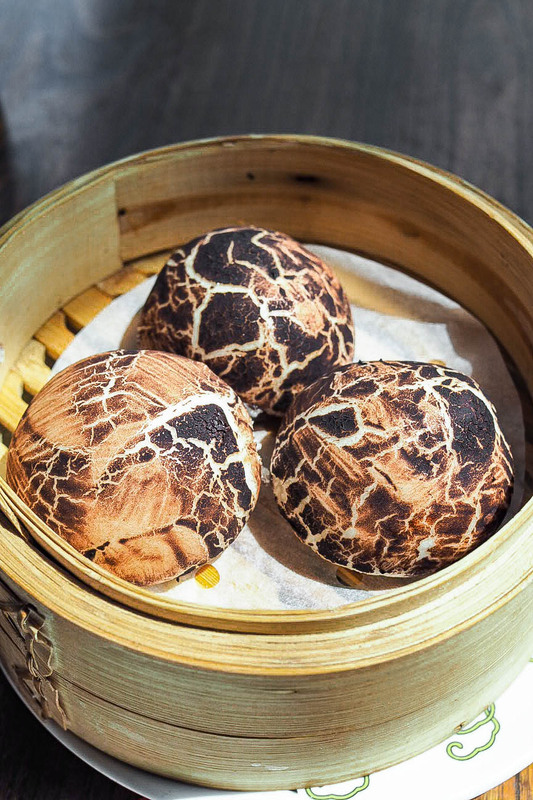 Bao for me is often a conduit to get soy sauce in my mouth quicker, but these were beautiful to look at and easily the fluffiest buns I’ve tried. I’d seen photos of Yum Cha all over Instagram before my most recent trip to Hong Kong, and as my trip to eat a unicorn toastie back in 2016 was such a success, this seemed like the perfect novelty food to follow up with. I’ll be honest, I had very low expectations of the actual taste of the dim sum here, but I was more than pleasantly surprised. 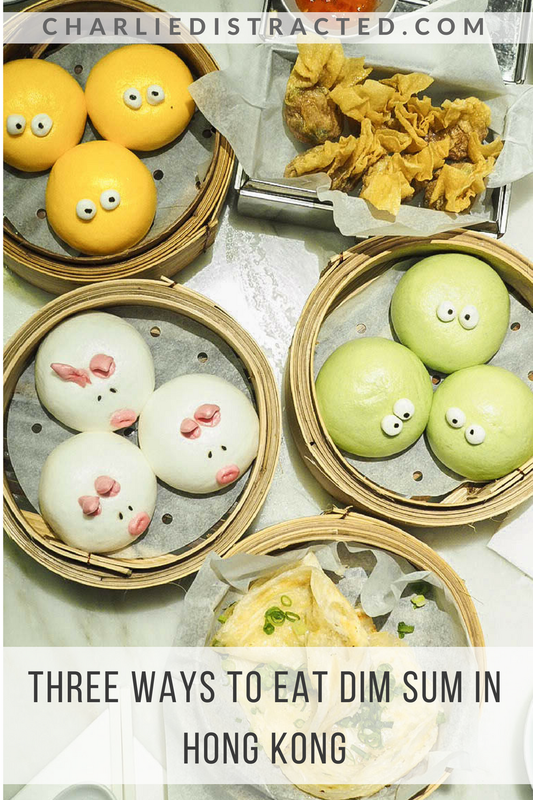 We ordered a mix of savoury and sweet, with some of the crazy looking dishes and some ‘normal’ dim sum too. 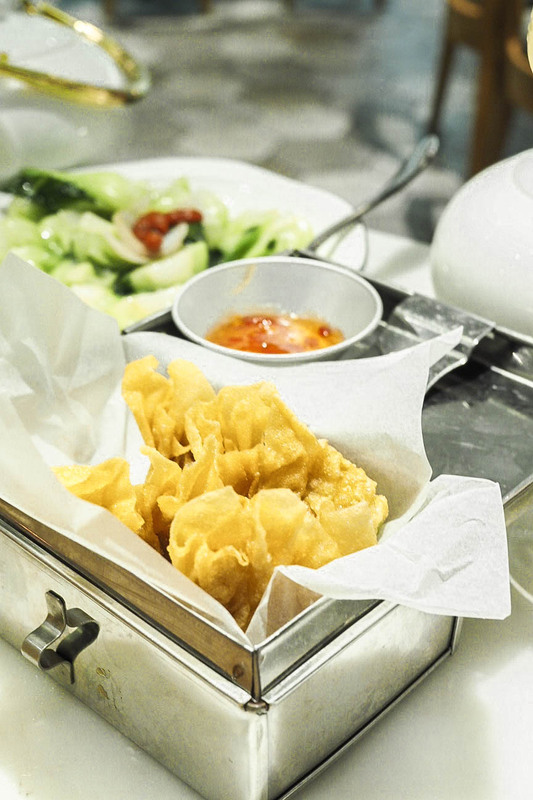 I was really wowed by the crispy sweet and sour wontons which gave me hope that we weren’t just in for a style-over-substance meal, and the whole meal did in fact massively exceed my expectations. 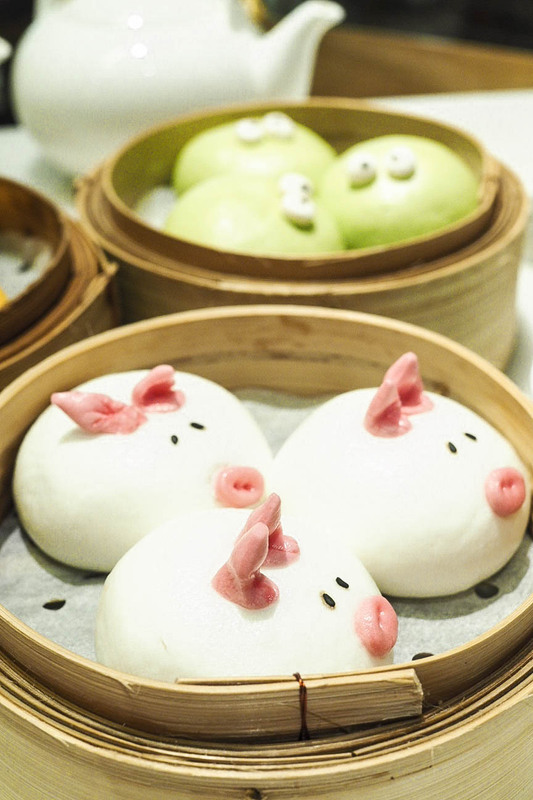 The pork char siu buns, which are always a favourite of mine, were delicious AND looked like little piggy faces (which maybe should’ve put me off but NOPE). 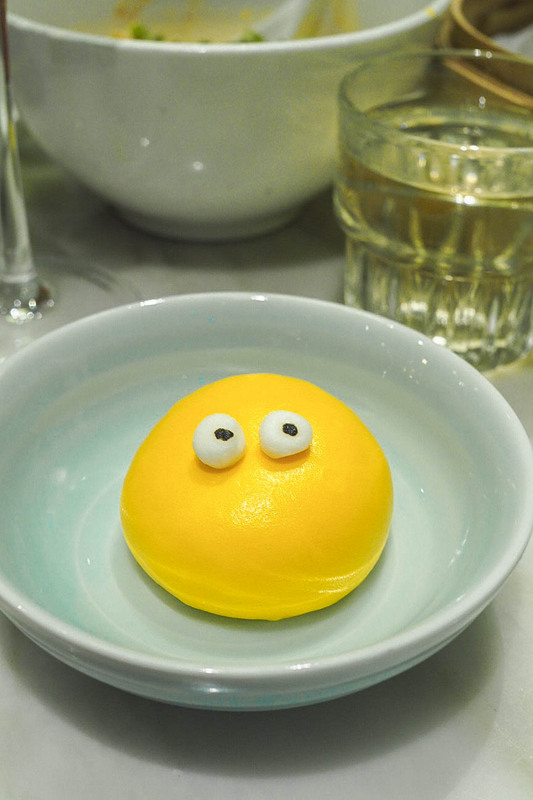 It was mainly the desserts that we loved though. 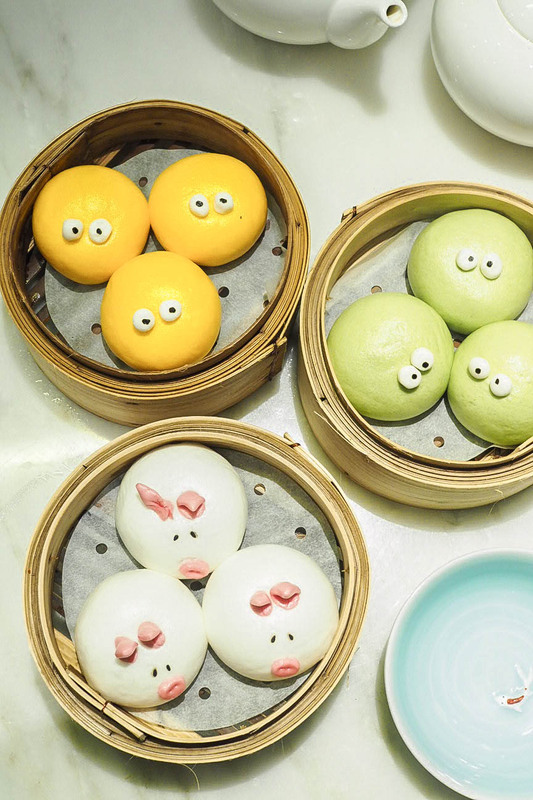 Served up in a bird cage were crispy pineapple puffs, and then squidgy bao faces: the yellow filled with regular custard, and the green filled with a matcha variety. Molten inside, so I recommend poking a hole in them and squishing them which is fun AND ensures you don’t burn your mouth off! 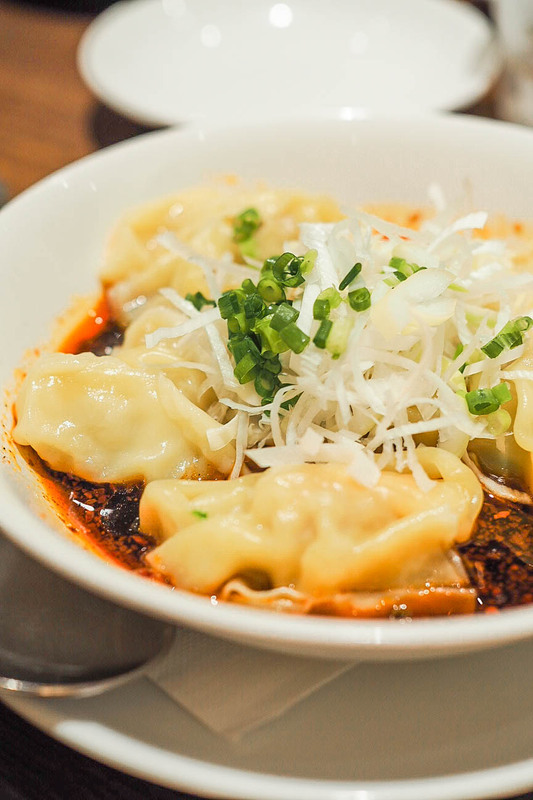 Originally, Din Tai Fung comes from Taiwan, but it’s yet to make it’s way over to the UK, so anytime I’m in Hong Kong, I make sure I schedule in a visit. 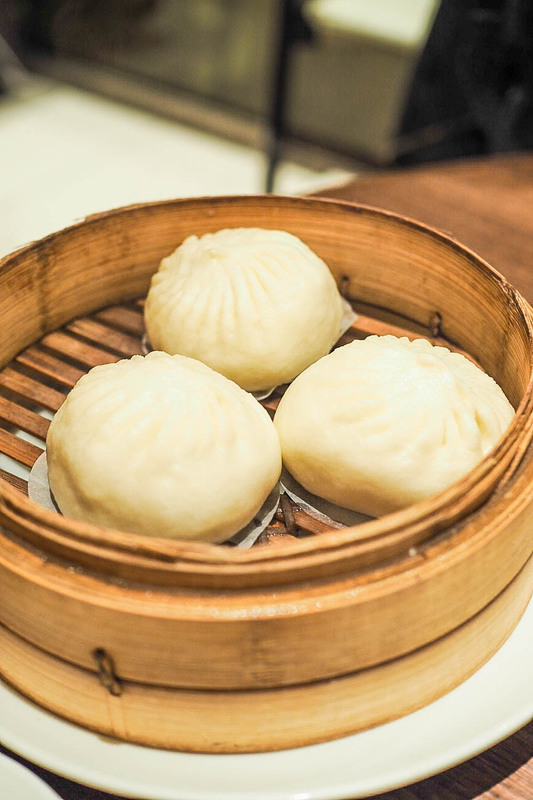 It’s loud and fast-paced inside; it really is a place where everyone can go to get a good meal, so it doesn’t have a shtick or any particular airs and graces, it just does great dim sum. 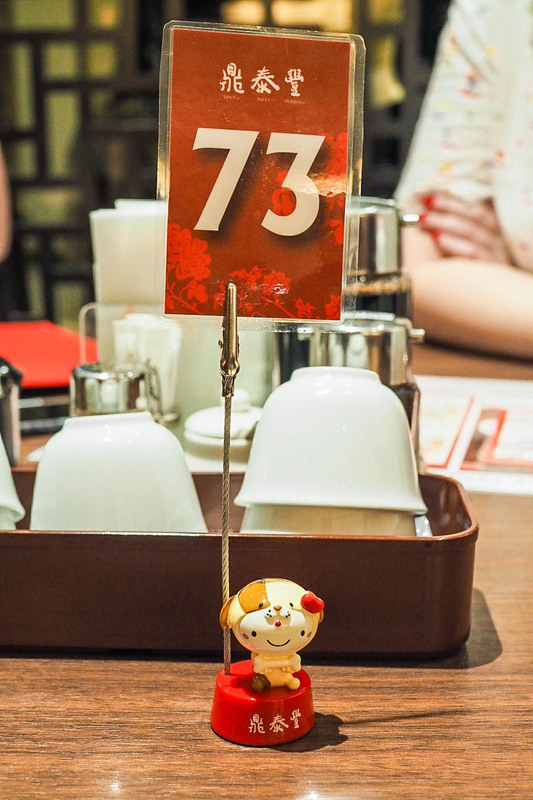 They specialise in xiaolongbao, or soup dumplings, which are messy and great fun to slurp away at, but there’s lots of familiar dishes on the menu which makes it hard to decide what to get, unless you do what I do and just order one of everything you fancy. 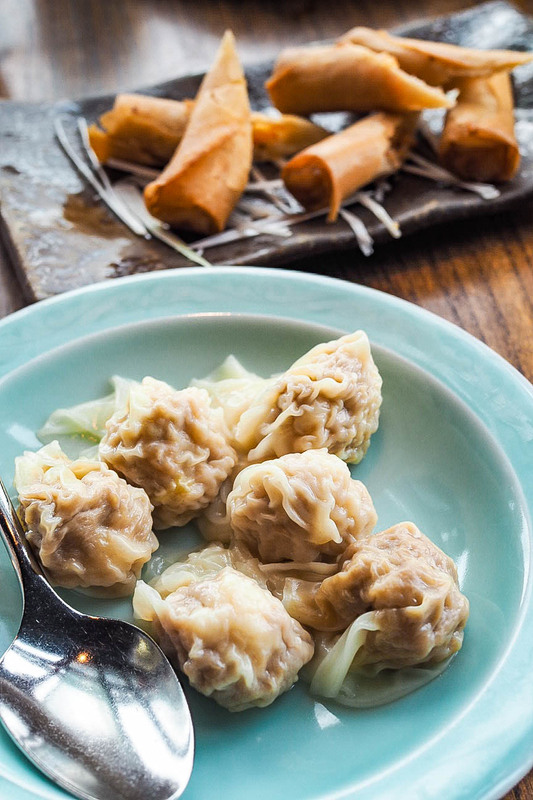 Char siu buns, scallop and prawn shumai, and hot and spicy wontons are items I don’t even need to look at a menu to order – just give them to me in abundance and I’ll be a happy holidaymaker.